All Advantech Digital Signage Players come with free bundled content creator software, WebAccess/IMM providing a sleek and user-friendly interface to enhance customer experience. Simplified and user-friendly editing interface. 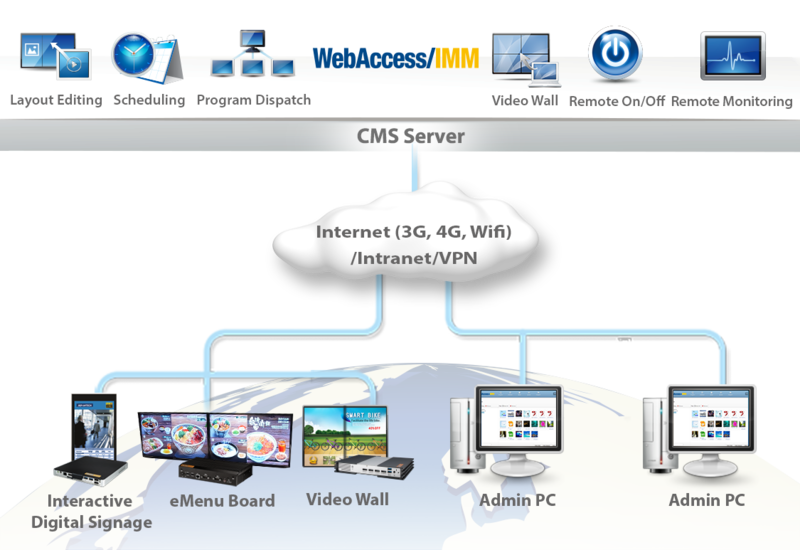 Web-based software so users can edit from any work station. Multiple media formats are supported.